It is that time of year…already! Happy holiday cheer surrounds us everywhere we look—storefronts, front yards, dinner tables, and inside the kitchen. The turkey is being dressed and the pies are in the oven. Everything seems perfect. Except that under the surface, someone hosting Thanksgiving dinner is in a panic wondering which wine they should serve with dinner. Food & wine pairings can be tricky, but the right wine can make a meal perfect. Hang in there and I will do my best to demystify this often over-looked holiday meal enhancement. When you are pairing food and wine, my rule #1 is that neither the food nor the wine should overpower the other. In other words, you want the food & wine to be of the same weight & flavor intensity. A heavy wine, let’s say a Cab, would not pair well with a light pre-dinner salad. Whereas a refreshingly citrusy New Zealand Sauvignon Blanc would not pair well with your family pot roast recipe. That’s not to say that red wine has to be paired with meat and white wine with salad, I would very happily drink a white Bourgogne (Chardonnay) with my turkey & gravy. It’s all about that weight (bout that weight, bout that weight). With that said, there are actually three traditional approaches to matching food & wine (and you can choose which one you like). 1. Regional approach: What grows together, goes together. 2. Sensual approach: This is where the weight comes in. Make sure you are appropriately pairing weight, acidity, and the sweetness of the food and wine. 3. Scientific approach: This means you are balancing the food & wine through pH manipulation. Squeeze some lemon or add salt to a dish to adjust the pH and then look for the contradicting pH in a wine pairing–Counterbalance a salty food with a sweeter wine. A wine higher in acidity with a baseline food—complement & contradict flavors. The exact way that you approach wine is subjective. Drink what you like! However, it is beneficial to take into consideration the way that flavors of food and wine interact to enhance each other—whether that is by complementary, or even contradictory interaction. When in doubt, I would suggest matching the weight of your food with the heaviness of the wine, and do not be afraid to experiment with lesser known varietals. Chardonnay (oaked): Chardonnay is typically a clumsy wine shunned by food & wine pairing experts, but I would venture to say that a quality oaked Chard will hold its own just fine with your turkey & gravy. Gewürztraminer: One of my favorite white wines! This spicy/sweet German special will pair nicely with a pumpkin, or pecan pie—especially if there is a hint of cinnamon or nutmeg in the pie. Carmenere: This Chilean red wine is spicy and smooth, with a weight that can often rival a Cab. Remember to consider the extra black pepper kick that Carmenere can have, and pair it with a food dish that is both heavier & flavorful. I would suggest any sweet & spicy pork dishes, or meat with a pronounced rosemary flavor. 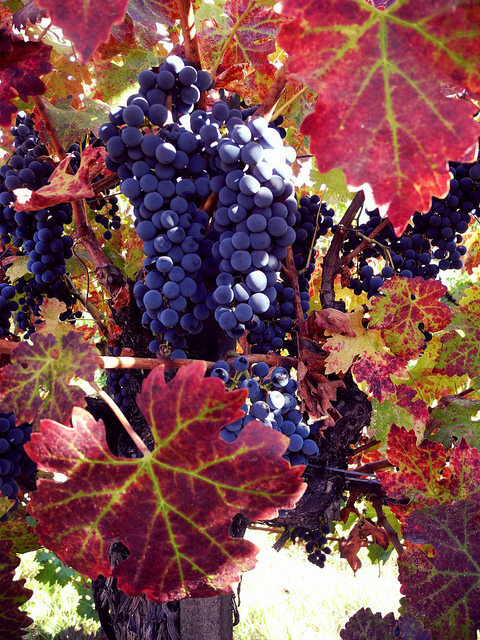 Syrah: I love the dark, tannic, peppery Syrah. Because Syrah is often high in tannins (that leathery feeling in your mouth when you drink a dark red wine), it is good to pair a full-bodied Syrah with a dish high in fat, as fat will smooth out the tannins. Try a high-fat meat or cheese dish such as pork shoulder, hanger steak, or a savory mac & cheese.